and promote your organization, courses, services, and jobs. Jobzella is a specialized portal that is designed to support businesses to reach directly the right target groups for their business, when it comes to career services and career building. We offer a wide variety of advertising tools including: feaured listings, email compaigns, and advertising banners. What is important is that we are doing our best to ensure a high ROL for all the compaings you will run on Jobzella. We at Jobzella.com - The World's First Online Career Mega Mall - believe that "businesses should only pay for what they really get", for that reason we are offering CMP/CPC models at very reasonable cost. What you need is just to set an advertising budget, and make sure that you will pay only for results. 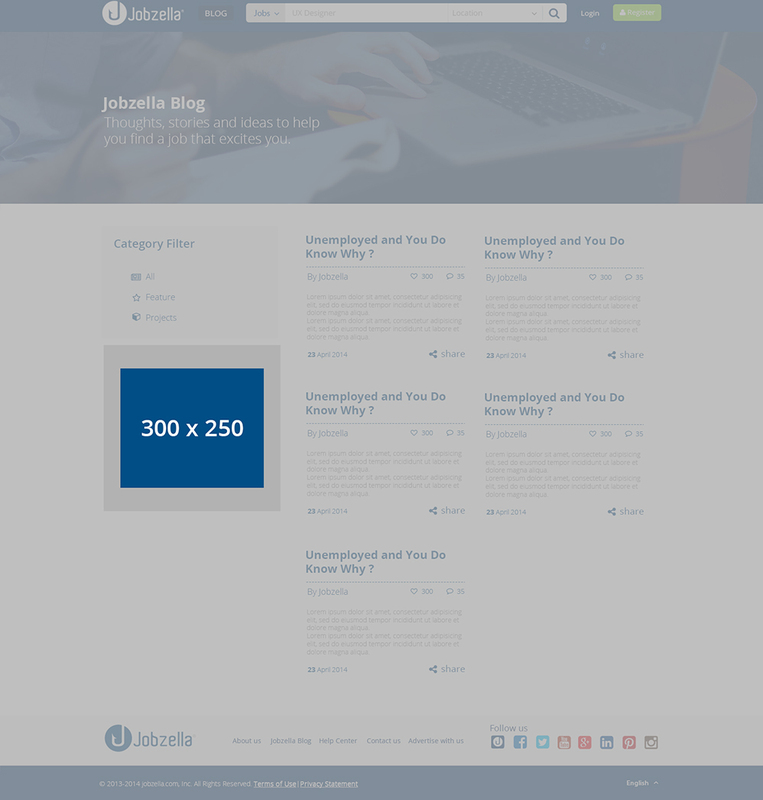 Jobzella connects with an affluent, engaged readership. We reach an international audience of creative professionals, web developers, digital artists and designers alike, who are 65% male, aged 24-35 years. Our readers are tech-savvy, discerning consumers of well-designed web products. 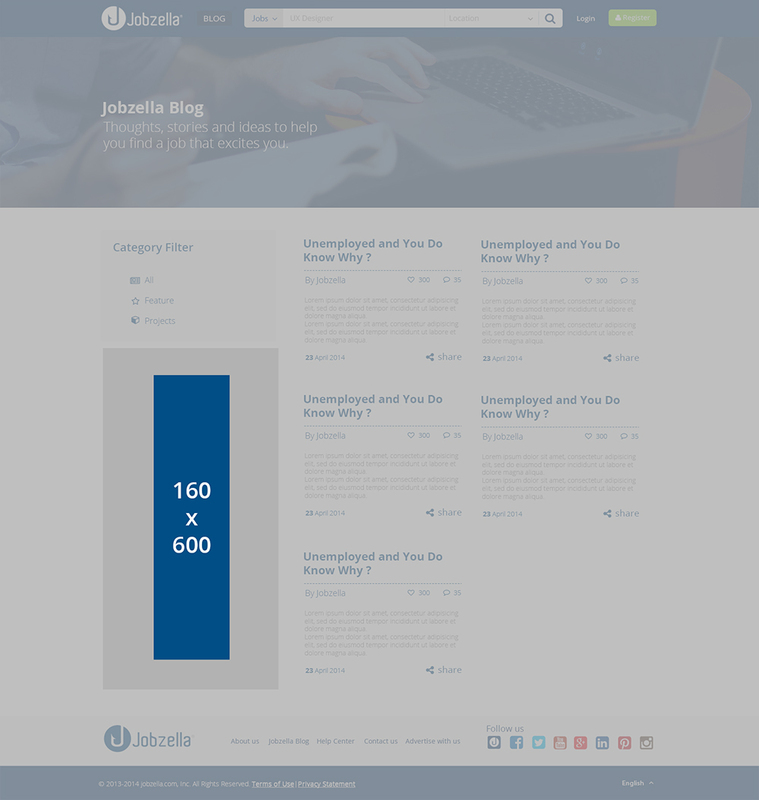 It refers to a banner space where your advertisement will be the only one seen when a reader immediately lands on any page of Jobzella. The banner offers an amazing prime visibility. 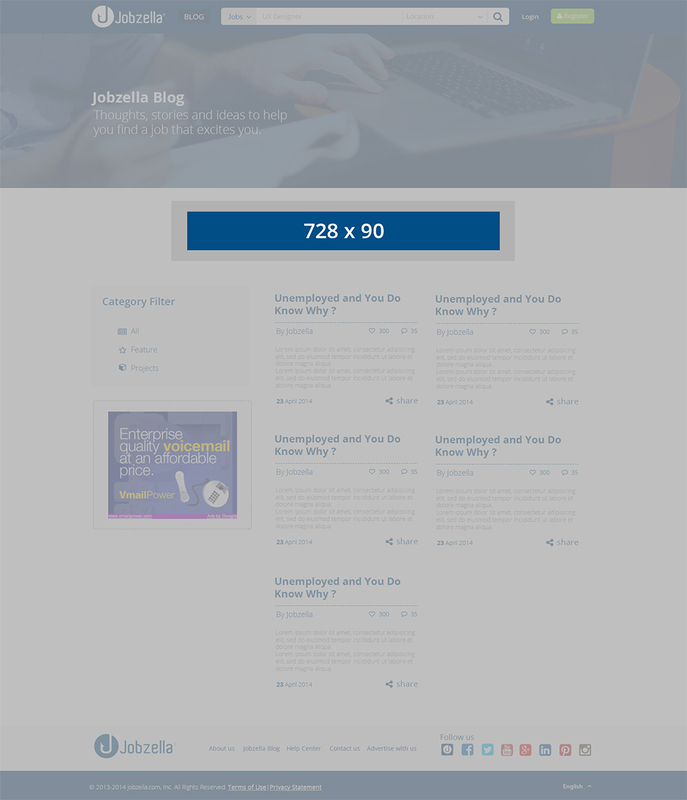 This banner is integrated in the left sidebar within the block with popular posts, alongside blog content on the homepage and across some of the MonsterPost pages.